This personal page shows my complete scientific track record. All information on this page is publically available elsewhere and collected here to show a coherent track record. 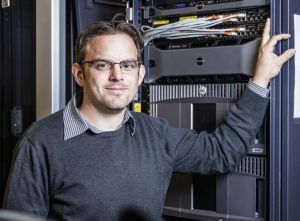 Florian is Senior Scientist and Team Lead of the ICT Security Research Group at the Austrian Institute of Technology (AIT), where he coordinates national and large-scale international research projects, as well as the overall research direction of the team. His main topics are centered on critical infrastructure protection, smart grid security and national cyber security and defense. Due to this research focus, the ICT Security Research Team works in close collaboration with national authorities, such as the Ministry of the Interior and the Ministry of Defense. Before joining AIT, Florian was with the Distributed Systems Group at the Vienna University of Technology as a research assistant and post-doctoral research scientist from 2007 to 2011, where he was involved in a number of international research projects dealing with cross-organizational collaboration over the Web. In context of these projects, he also finished his PhD studies. Florian further spent a sabbatical at IBM Research India in Bangalore for several months. He published more than 100 scientific conference papers and journal articles and holds some 20 industry recognized security certifications, including Certified Information Systems Security Professional (CISSP), Certified Information Security Manager (CISM), ISA/IEC 62443 Security Specialist, and CCNP Security. In 2017 he finished a professional degree in Advanced Computer Security at the Stanford University, USA. In parallel to his studies, he was working at numerous SMEs as firmware developer for microcontroller systems for about 15 years (see legacy projects; current projects). Florian is member of various conference program committees and editorial boards, as well as standardization groups, such as ETSI TC Cyber and OASIS CTI. He frequently serves as reviewer for numerous high-profile journals, including Elsevier's Computers & Security. He is registered subject matter expert of ENISA (ENISA M-CEI-17-T01) in the areas of new ICTs and emerging application areas as well as Critical Information Infrastructure Protection (CIIP) and CSIRTs cooperation. As invited reviewer he evaluates research project proposals for numerous national research funding agencies, including the Austrian agency for international mobility and cooperation in education (OEAD), the Czech Science Foundation and the European Science Foundation (ESF), as well as the EC's Horizon 2020 programme. Florian is IEEE Senior Member, Member of the Association for Computing Machinery (ACM), Member of (ISC)2, Member of ISACA and Member of the International Society of Automation (ISA). Mit dem Inkrafttreten der NIS Richtlinie haben die EU-Mitgliedsstaaten den Grundstein für all jene Strukturen gelegt, die Cyber Security langfristig gewährleisten sollen. Eine besondere Bedeutung kommt dabei den geplanten NIS Behörden zu, die als Informationsdrehscheiben zwischen privaten Anbietern kritischer Dienstleistungen und staatlichen Einrichtungen fungieren sollen. Gleichzeitig birgt dieser wichtige Schritt eine ganze Reihe neuer Herausforderungen für alle Unternehmen, die kritische Infrastrukturen betreiben oder digitale Dienste bereitstellen. Durch die interdisziplinäre Verknüpfung technischer, organisatorischer und rechtlicher Aspekte stellt das Buch gekonnt die Komplexität der Thematik dar und liefert gleichzeitig zahlreiche Vorschläge zur Umsetzung der Richtlinien zur Cyber-Sicherheit. Entscheidungsträger in Organisationen und Führungskräfte, die mit den Restrukturierungen betraut sind, finden in dem Buch einen wertvollen Handlungsleitfaden. Auch Studenten des Security Managements und ähnlicher Fachbereiche, die sich einen Überblick über die Thematik verschaffen möchten, dient das Buch als wichtige Informationsquelle. 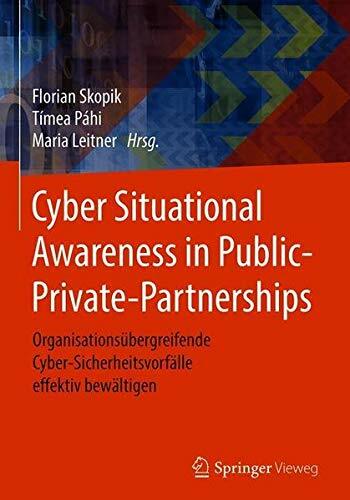 Skopik F., Pahi T., Leitner M.: Cyber Situational Awareness in Public-Private-Partnerships: Organisationsübergreifende Cyber-Sicherheitsvorfälle effektiv bewältigen, Springer, 2018, ISBN: 978-3-662-56083-9. Threat intelligence is a surprisingly complex topic that goes far beyond the obvious technical challenges of collecting, modelling and sharing technical indicators. Most books in this area focus mainly on technical measures to harden a system based on threat intel data and limit their scope to single organizations only. This book provides a unique angle on the topic of national cyber threat intelligence and security information sharing. It also provides a clear view on ongoing works in research laboratories world-wide in order to address current security concerns at national level. It allows practitioners to learn about upcoming trends, researchers to share current results, and decision makers to prepare for future developments. 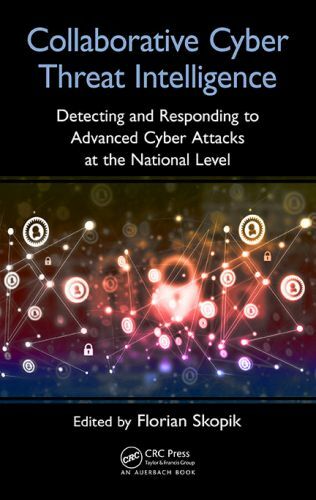 Skopik F.: Collaborative Cyber Threat Intelligence: Detecting and Responding to Advanced Cyber Attacks at the National Level, CRC Press, 2017, ISBN: 978-1-13-803182-1. The Smart Grid security ecosystem is complex and multi-disciplinary, and relatively under-researched compared to the traditional information and network security disciplines. While the Smart Grid has provided increased efficiencies in monitoring power usage, directing power supplies to serve peak power needs and improving efficiency of power delivery, the Smart Grid has also opened the way for information security breaches and other types of security breaches. Potential threats range from meter manipulation to directed, high-impact attacks on critical infrastructure that could bring down regional or national power grids. It is essential that security measures are put in place to ensure that the Smart Grid does not succumb to these threats and to safeguard this critical infrastructure at all times. 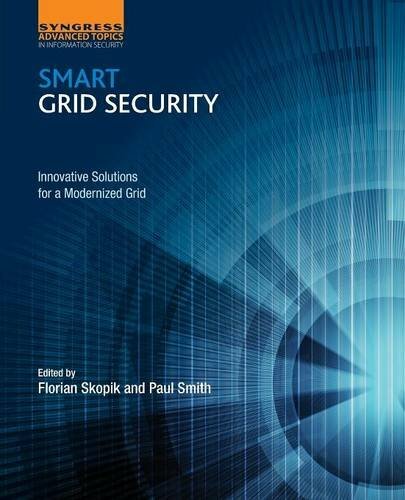 Skopik F., Smith P.: Smart Grid Security - Innovative Solutions for a Modernized Grid, Elsevier Science Publishing, 2015, ISBN: 978-0-12-802122-4. In den letzten Jahren hat sich das Internet schnell zu einem massiven wirtschaftlichen Betätigungsfeld entwickelt, leider auch für illegale Unternehmungen. Das Ausnutzen von Schwachstellen in IKT-Systemen ist inzwischen ein profitables Geschäftsmodell. Das staatlich geförderte Forschungsprojekt CAIS beschäftigte sich deshalb mit der Implementierung eines Cyber Attack Information Systems auf nationaler Ebene mit dem Ziel, die Widerstandsfähigkeit der heutigen vernetzten Systeme zu stärken und ihre Verfügbarkeit und Vertrauenswürdigkeit zu erhöhen. Hauptziele dieses Projektes waren die Identifizierung der künftigen Cyber-Risiken und -Bedrohungen, die Untersuchung neuartiger Techniken zur Anomalieerkennung, die Entwicklung modularer Infrastrukturmodelle und agentenbasierter Simulationen zur Risiko- und Bedrohungsanalyse, und schließlich die Analyse und mögliche Umsetzung eines nationalen Cyber Attack Information Systems. 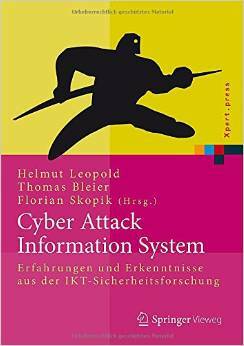 Leopold H., Bleier T., Skopik F.: Cyber Attack Information System, Springer, 2015, ISBN: 978-3-662-44305-7. Socially enhanced Services Computing deals with a novel and exciting new field at the intersection between Social Computing, Service-oriented Computing, Crowd Computing, and Cloud Computing. The present work presents a collection of selected papers by the editors of this volume, which they feel will help the reader in understanding this field. The approach discussed allows for a seamless integration of people into trusted dynamic compositions of Human-provided Services and Software-based services, thus empowering new interaction models and processes in massive collaboration scenarios in a Future Internet. 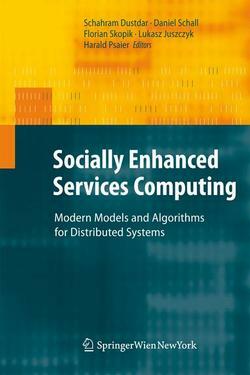 Dustdar, S., Schall, D., Skopik, F., Juszczyk, L., Psaier, H.: Socially Enhanced Services Computing, Springer, 2011, ISBN: 978-3-7091-0812-3. An advanced persistent threat (also known as APT) is a deliberately slow-moving cyber-attack that is applied to quietly compromise interconnected information systems without revealing itself. APTs often use a variety of attack methods to get unauthorized system access initially and then gradually spread throughout the network. In contrast to traditional attacks, they are not used to interrupt services but primarily to steal intellectual property, sensitive internal business and legal documents and other data. If an attack on a system is successful, timely detection is of paramount importance to mitigate its impact and prohibit APTs from further spreading. However, recent security incidents, such as Operation Shady Rat, Operation Red October or the discovery of MiniDuke - just to name a few - have impressively demonstrated that current security mechanisms are mostly insufficient to prohibit targeted and customized attacks. This talk provides an overview of the research cluster CAIS and software solution's portfolio spanning from tools to detect advanced mutli-stage attacks using AECID, the mitigation and appropirate response to current issues using CAESAIR and the proactive improvement of preventive security measures using BAESE. An overview of this solutions portfolio can be downloaded as pdf. Published online on March 20th, 2016 on Youtube. CAESAIR is a cyber threat intelligence solution designed to provide analytical support for security experts carrying out IT incident handling tasks on a local, national or international level. Thanks to its powerful correlation capability, CAESAIR provides analysts with the necessary support to handle reported incident information. It aggregates and examines intelligence acquired from numerous Open Source INTelligence (OSINT) feeds; it quickly identifies related threats and existing mitigation procedures; it allows to establish cyber situational awareness by keeping track of security incidents and threats affecting the monitored infrastructures over time. CAESAIR was designed, developed and demonstrated in the European FP7 research project ECOSSIAN and is further developed together with major industry partners and national bodies. Published online on December 16th, 2016 on Youtube. With the emergence of comprehensive ICT networks and their increasing interconnection, number of participants and access points, attack surfaces and vectors multiply. Specifically, advanced persistent threats (APTs), which are targeted and highly customized attacks against organizational assets, pose serious security threats. However, typical security systems that are applied in today's ICT networks, including malware scanners and intrusion detection systems, apply common black-list approaches, which consider only actions and behavior that match to well-known attack patterns and signatures of malware traces. We argue that for future critical infrastructures, a more restrictive approach, that cannot be circumvented by customized malware, will increase the security level tremendously. Therefore, AECID ("automatic event correlation for incident detection") applies a smart white-list approach. Our anomaly detection technique keeps track of system events, their dependencies and occurrences, to learn the "normal" system behavior over time and reports all actions that differ from a dynamically created system model. The application of such a system is specifically promising in control networks, as applied in the emerging smart grid, which mostly implement well-specified processes, resulting in rather predictable and static behavior. Published online on April 15th, 2014 on Youtube. Information and communication technology (ICT) systems underpin many of today's societal functions and economic development. Consequently, protecting a nation's ICT infrastructure from deliberate cyber attacks and unintentional disruptions is of paramount importance. This is particularly the case as cyber threats become increasingly sophisticated and distributed. Therefore, we need new paradigms for detecting them in complex connected critical infrastructure systems. Currently, many attack detection tasks are performed within single organizations only. We argue that cross-organiszational security information sharing is a crucial step to correctly understand large-scale cyber-attack situations. Collaboration among all parties across all domains of the cyberspace is the key to effective and coordinated effort to cope with cyber threats. In practice, security information sharing is usually accomplished via ad-hoc and informal relationships. Often, national Computer Emergency Response Teams (CERTs) assume the role of a contact point for coordinating and aggregating security incidence reports. However, the information that is provided is usually not targeted to particular vertical industry sectors. We suggest that, in order to make such platforms more effective, sector-oriented views, along with rich information and experience reports are required. Furthermore, there is a crucial trade-off to be considered: existing platforms require information to be verified centrally (in order to avoid hoaxes); therefore, the speed of information distribution suffers. Timeliness of information is very important when protecting against aggressive attackers and zero-day exploits. Consequently, we foresee a need for new standards that employ suitable direct sharing models, which allow the targeted exchange of specific information about discovered vulnerabilities of ICT systems, as well as current threats (such as new malware) and recent incidents. The application of these standards further implies the existence of a federated trust and reputation model to address reservations of users, and to attract a critical mass of users. Elsevier Journal of Information Security and Applications (JISA), Volume 34 Part 2, June 2017, pp. 166-182. Elsevier. Elsevier Computers & Security Journal, Volume 60, pp. 154-176 Elsevier. Friedberg I., Skopik F., Settanni G., Fiedler R. (2015): Combating Advanced Persistent Threats: From Network Event Correlation to Incident Detection [pdf]. Elsevier Computers & Security Journal, Volume 48, pp. 35-57. Elsevier. A drastic change in modern power grids is underway. Conventional means of providing energy by centralised suppliers will not be sufficient to ensure the energy supply of our society in the future. Therefore, Information and Communication Technologies (ICT) are increasingly applied, for example, to allow a flexible integration of wind-, solar-, or biomass energy into the existing power grid. This integration of energy providers, consumers, producers and utilities by means of ICT is the cornerstone of a Smart Grid. With the increasing use of novel smart grid technologies, a comprehensive ICT network is established parallel to the electricity grid, which due to its large size, number of participants and access points will be exposed to similar hazards as the current Internet. However, the reliable energy supply of this system depends on the effective operation of ICT, and similar security problems such as in the current Internet would have severe consequences. Potential threats range from meter manipulation to directed, high-impact attacks on the critical infrastructure of the energy carrier that could damage or bring down parts of the national power grid, which can also affect adjacent power lines. It is essential that security measures are put in place to ensure a future smart grid does not succumb to these threats, and endanger this critical national infrastructure. Elsevier Computers & Security Journal, Volume 62, September 2016, pp. 165-176. Elsevier. Skopik F., Langer L. (2013): Cyber Security Challenges in Heterogeneous ICT Infrastructures of Smart Grids. 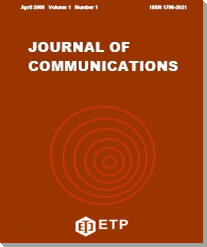 Journal of Communications (JCM), Volume 8, Issue 8, August 2013, pp. 463-472. Engineering and Technology Publishing. Skopik F., Ma Z., Bleier T., Grüneis H. (2012): A Survey on Threats and Vulnerabilities in Smart Metering Infrastructures. International Journal of Smart Grid and Clean Energy (IJSGCE), Volume 1, Issue 1, September 2012, pp 22-28. Engineering and Technology Publishing. The global scale and distribution of companies have changed the economy and dynamics of businesses. Web-based collaborations and cross-organizational processes typically require dynamic and context-based interactions between people and services. However, finding the right partner to work on joint tasks or to solve emerging problems in such scenarios is challenging due to scale and temporary nature of collaborations. Furthermore, actor competencies evolve over time, thus requiring dynamic approaches for their management. Web services and SOA are the ideal technical framework to automate interactions spanning people and services. To support such complex interaction scenarios, we discuss mixed service-oriented systems that are composed of both humans and software services, interacting to perform certain activities. As an example, consider a professional online support community consisting of interactions between human participants and software-based services. We argue that trust between members is essential for successful collaborations. This research aims at covering, models, algorithms and architectures that support the management of trust in such mixed service-oriented systems environments. Journal of Systems and Software (JSS), Volume 89, March 2014, pp. 3-18. Elsevier. Skopik F., Schall D., Dustdar S. (2012): Discovering and Managing Social Compositions in Collaborative Enterprise Crowdsourcing Systems. International Journal of Cooperative Information Systems (IJCIS), Volume 21, Issue 4, December 2012, pp 279-341. World Scientific. Elsevier Information Systems Journal (IS), Volume 35, Issue 7, November 2010, pp 735-757. Elsevier. Study on the establishment of an APT Competence Center in Austria (APT-CC), 2018 - 2020. Coordinator (F.Skopik, AIT). National research project funded by the FFG in course of the KIRAS security research programme. Abstract: Advanced Persistent Threats (APT) are complex, targeted and effective attacks on critical IT infrastructures and confidential data from government agencies, large and medium-sized enterprises. The establishment of an APT Competence Center (APT-CC) for the observation and investigation of espionage and sabotage in state-security-relevant organizations and critical infrastructures is a declared goal of the Austrian security ministries to increase national resilience. In order to establish an APT-CC effectively, it is essential in advance to lay the groundwork for fundamental decisions with regard to resources, equipment and relevant powers of such an APT-CC. This project is to be carried out as part of the KIRAS study APT-CC. In particular, it will be investigated to what extent sensor networks can be used for the proactive detection of APTs, what are the processes for the forensic processing of APTs and what possibilities exist for the establishment of a Rapid Response Team. On the one hand, the results are supplemented by legal considerations and, on the other hand, they are discussed on the basis of application-oriented case studies. Crisismanagment/RISkanalysis - CROSSover system (CRISCROSS), 2017 - 2019. Work Package Leader (F.Skopik, AIT). Abstract: The state of the art in risk management implies a strong dependency on expert opinions and can only generate static views on a situation. CRISCROSS is a project that aims to develop a software tool, that collects knowledge about infrastructures, threats, vulnerabilities and attacks on these infrastructures online and aggregates all these data into a nation-wide dynamic situational view. The use case of this risk analysis tool is a KPI-based management and decision support system applicable in near real-time. The tool is expected to increase the analysis capabilities of national bodies, the willingness to cooperate across organizations and with the government, and the development of a real-world cyber risk situational view to support key decision making. Austrian Cyber Crisis Support Activities (ACCSA), 2017 - 2019. Coordinator (F.Skopik, AIT). Abstract: As the number of complex cyber attacks (such as ransomware, spear phishing, high-bandwidth DDoS, CEO fraud) has risen rapidly in recent years, it is becoming more and more challenging for companies and government agencies to adequately prepare for these incidents and to practive and test cyber crisis management (CKM) procedures. Therefore, the ACCSA research project deals with the question of how novel and comprehensive concepts for the training and exercise of CKM processes can be developed and applied by using current technologies in the area of CKM, in order to make a substantial contribution to the preparation for national cyber crises and enable a significantly reduced response time and error rate for all relevant actors. In ACCSA, an integral training and exercise concept is developed for all CKM actors and possible training scenarios and decision options are developed using exploratory scenario analysis. The concepts are designed to train inter-level communication (technology, management, first responder, politics) between actors and a comprehensive cooperation between the government and the economy to deal with cyber crises by the means of dynamic nonlinear exercises. Security for cyber-physical Value Networks Exploiting Smart Grid Systems (synERGY), 2017 - 2019. Coordinator (F.Skopik, AIT). National research project funded by the FFG in course of the ICT of the Future research programme. Abstract: The degree of sophistication of modern cyber-attacks has increased in recent years - in the future, these attacks will increasingly target CPS. Unfortunately, today's security solutions that are used for enterprise IT infrastructures are not sufficient to protect CPS, which have largely different properties, involve heterogeneous technologies, and have an architecture that is very much shaped to specific physical processes. The objective of synERGY is to develop new methods, tools and processes for cross-layer Anomaly Detection (AD) to enable the early discovery of both cyber- and physical-attacks with impact on CPS. To achieve this, synERGY will develop novel machine learning approaches to understand a system's normal behaviour and detect consequences of security issues as deviations from the norm. The solution proposed by synERGY will flexibly adapt itself to specific CPS layers, thus improving its detection capabilities. Moreover, synERGY will interface with various organizational data sources, such as asset databases, configuration management, and risk data to facilitate the semi-automatic interpretation of detected anomalies. The synERGY approach will be evaluated in real smart grid vendor environments - a societally important CPS. We propose, because of the approach taken in the project, the synERGY results will be readily applicable to a wide range of CPS in value networks, and will thus result in broader impact on future CPS security solutions. Power Semiconductor and Electronics Manufacturing 4.0 (SEMI4.0), 2016 - 2019. Task Contributor (F.Skopik, AIT). ECSEL Joint Undertaking, Innovation Action 692466-2, Call 2015-2. Abstract: Electronic components and systems are key drivers for the innovation capacity of European industries, large and small, generating economic growth and supporting meaningful jobs for citizens. They offer solutions to some of the difficult societal challenges addressing European policies for 2020 and beyond. For both reasons, it is vital that investments are made to assure European collaboration and the access to the technologies, know-how and manufacturing capabilities, which guarantee growth potential and strategic independence in the face of increased globalization. Cyber Incident Situational Awareness (CISA), 2015 - 2018. Coordinator (F.Skopik, AIT). Abstract: The project CISA aims towards a consistent fusion of existing research activities in the field of national cyber security, in order to develop a process to establish cyber-situational awareness within a scientifically sound concept. At the operational and technical level, solutions for the collection and aggregation of information regarding cyber threats have been developed in the recent years, and at the strategic level the assessment and handling of cyber threats based on cyber situational awareness pictures has been studied. However, an important link, specifically the question of how the technical information from the cyberspace can be processed and presented in such a cyber-situational awareness picture, turned out to be a challenging problem, for which there are still no sufficient solutions. Therefore, the project CISA is carried out in close cooperation with national stakeholders to create a sound definition of the concept of cyber-situational awareness (both military and civilian), describe the creation and utilisation processes, and combine (existing) tools to new instruments. At the same time, the involvement of Austrian legal experts is crucial in order to ensure the real-world applicability of the newly developed solutions. Ultimately, these efforts are evaluated and assessed in a demonstrator during a cyber exercise. Bontempiorgel - Implementation Suggestion for an Authority Network, 2016 - 2017. Work Package Leader (F.Skopik, AIT). European Control System Security Incident Analysis Network (ECOSSIAN), 2014 - 2017. Work Package Leader (F.Skopik, AIT). Abstract: The protection of critical infrastructures increasingly demands solutions which support incident detection and management at the levels of individual CI, across CIs which are depending on each other, and across borders. An approach is required which really integrates functionalities across all these levels. Cooperation of privately operated CIs and public bodies (governments and EU) is difficult but mandatory. After about 10 years of analysis and research on partial effects in CIP and for individual infrastructure sectors, ECOSSIAN is supposed to be the first attempt to develop this holistic system in the sense portrayed above. A prototype system will be developed which facilitates preventive functions like threat monitoring, early indicator and real threat detection, alerting, support of threat mitigation and disaster management. In the technical architecture with an operations centre and the interfaces to legacy systems (e.g., SCADA), advanced technologies need to be integrated, including fast data aggregation and fusion, visualization of the situation, planning and decision support, and flexible networks for information sharing and coordination support, and the connection of local operations centres. This system will only be successful, if the technical solutions will be complemented by an effective and agreed organizational concept and the implementation of novel rules and regulations. And finally, the large spectrum of economically intangible factors will have significant influence on the quality and acceptance of the system. These factors of societal perception and appreciation, the existing and required legal framework, questions of information security and implications on privacy will be analyzed, assessed and regarded in the concept. The system will be tested, demonstrated and evaluated in realistic use cases. They will be developed with the community of stakeholders and cover the sectors energy, transportation and finance, and the ubiquitous sector of ICT. Cyber Incident Information Sharing (CIIS), 2013 - 2016. Coordinator (F.Skopik, AIT). Abstract: The smooth operation of critical infrastructures, such as telecommunications or electricity supply is essential for our society. In recent years, however, operators of critical infrastructure have increasingly struggled with cyber security problems. Through the use of ICT standard products and the increasing network interdependencies, the attack surfaces and channels have multiplied. Therefore, the goals in CIIS are twofold: the development of mechanisms for information correlation, aggregation, and fingerprinting of status and attack data, as well as the development of methods and technologies for the exchange of information on cyber incidents to better defend against cyber attacks and to streamline the analysis of the current threat. As a result, the resilience of systems to be improved (e.g., operators of critical infrastructures) both between organizations and between organizational units within large organizations (e.g., within ministries) and increased regarding cyber attacks in sensitive areas. Smart Grid Security Guidance (SG2), 2012 - 2015. Coordinator (AIT). Abstract: Future energy grids will make extensive use of the integration of ICT technologies. Thus, cyber security risks become a threat even for energy suppliers. Numerous security issues are completely unsolved today, because these special environments require novel security mechanisms and processes. The aim of the project SG2 is therefore a systematic study of smart grid technologies in terms of ICT security issues and the research of countermeasures. Based on a thorough threat and risk analysis from a state-level perspective and security analysis of Smart Grid components, SG2 explores measures for power grid operators that serve to increase the security of computer systems deployed in the future critical infrastructure of "energy". Cyber Attack Information System (CAIS), 2011 - 2013. Coordinator (F.Skopik, AIT). Abstract: In the last years ICT has changed our lives considerably. This brings in some new dependencies - hardly anything is working without ICT these days, and this trend is even increasing. To reduce IT related risks the CAIS project is developing two tools as the foundation of a comprehensive Cyber Attack Information System. The project is focusing on a methodology and accompanying software tool for modelling, analysing and simulating IT infrastructures and specifically the interdependencies of them. It supports the identification of problematic areas and the simulation of threats for the development of countermeasures. The second tool developed within the project complements the first one and builds upon multiple data sources to correlate the data and analyse current threats and anomalies. It starts with information about traffic flows and incorporates interfaces to malware analysis systems and other security relevant information sources. Prospective users include large companies, e.g. operators of critical infrastructures, as well as public authorities responsible for security in Austria. Overview of TU Vienna's contributions. Abstract: "By 2020 enterprise collaboration and interoperability services will become an invisible, pervasive and self-adaptive knowledge and business utility at disposal of the European networked enterprises from any industrial sector and domain in order to rapidly set-up, efficiently manage and effectively operate different forms of business collaborations, from the most traditional supply chains to the most advanced and dynamic business ecosystems." The mission of the COIN IP is to study, design, develop and prototype an open, self-adaptive, generic ICT integrated solution to support the above 2020 vision, starting from notable existing research results in the field of Enterprise Interoperability (and made available by the whole Enterprise Interoperability DG INFSO D4 Cluster and specifically by the projects ATHENA, INTEROP, ABILITIES, SATINE, TRUSTCOM) and Enterprise Collaboration (and made available by the projects ECOLEAD, DBE, E4 and ECOSPACE). In particular, a COIN business-pervasive open-source service platform will be able to expose, integrate, compose and mash-up in a secure and adaptive way existing and innovative to-bedeveloped Enterprise Interoperability and Enterprise Collaboration services, by applying intelligent maturity models, business rules and self-adaptive decision-support guidelines to guarantee the best combination of the needed services in dependence of the business context, as industrial sector and domain, size of the companies involved, openness and dynamics of collaboration. This way, the Information Technology vision of Software as a Service (SaaS) will find its implementation in the field of interoperability among collaborative enterprises, supporting the various collaborative business forms, from supply chains to business ecosystems, and becoming for them like a utility, a commodity, the so-called Interoperability Service Utility (ISU). The COIN project will finally develop an original business model based on the SaaS-U (Software as a Service-Utility) paradigm where the open-source COIN service platform will be able to integrate both free-of-charge and chargeable, open and proprietary services depending on the case and business policies. Current and Future Technologies for Collaborative Working Environments (ESA-CWE), 2008.
funded by the European Space Agency (ESA), ESA ITT Number AO/3-12280/07/NL/CB. conducted in close collaboration with the ESA Advanced Concepts Team. Landauer M., Skopik F. (2019): INDICÆTING - Automatically Detecting, Extracting, and Correlating Cyber Threat Intelligence from Raw Computer Log Data. ERCIM News, Number 116, January 2019, pp. 25-26. ERCIM - The European Research Consortium for Informatics and Mathematics. Skopik F. (2018): Cross-Organizational Cyber Risk Assessments. ERCIM News, Number 115, October 2018, pp. 42-43. ERCIM - The European Research Consortium for Informatics and Mathematics. Elsevier Computers & Security Journal, Volume 79. November 2018, pp. 94-116. Elsevier. Skopik F. , Wurzenberger M., Fiedler R. (2018): synERGY: Detecting advanced attacks across multiple layers of cyber-physical systems. ERCIM News, Number 114, July 2018, pp. 30-31. ERCIM - The European Research Consortium for Informatics and Mathematics. Settanni G., Skopik F., Wurzenberger M., Fiedler R. (2018): Countering targeted cyber-physical attacks using anomaly detection in self-adaptive Industry 4.0 Systems. e&i Elektrotechnik und Informationstechnik, Volume 135, Issue 3, pp. 278-285. Springer. Journal of Information Warfare, Vol. 16, Issue 4. Peregrine. Einzinger K., Skopik F. (2017): Über die datenschutzrechtliche Problematik in CERTs/CSIRTs-Netzwerken. Datenschutz und Datensicherheit (DuD), Vol. 41, Issue 8. Gabler Verlag | Springer Fachmedien. International Journal on Cyber Situational Awareness (IJCSA), Vol. 1, November 2016, Article 2, C-MRIC. Wurzenberger M., Skopik F. (2016): The BAESE Testbed - Analytic Evaluation of IT Security Tools in Specified Network Environments. ERCIM News, Number 107, October 2016, pp. 51-52. ERCIM - The European Research Consortium for Informatics and Mathematics. Skopik F., Leitner M., Pahi T. (2016): CISA: Establishing National Cyber Situational Awareness to Counter New Threats. ERCIM News, Number 106, July 2016, pp. 52-53. ERCIM - The European Research Consortium for Informatics and Mathematics. Elsevier Computers & Security Journal, Volume 60. July 2016, pp. 154-176. Elsevier. Elsevier Information Systems (IS), Volume 60, Aug./Sept. 2016, pp. 13-33. Elsevier. Einzinger K., Skopik F., Fiedler R. (2015): Keine Cyber-Sicherheit ohne Datenschutz. Datenschutz und Datensicherheit (DuD), Vol. 39, Issue 11. Gabler Verlag | Springer Fachmedien. Friedberg I., Skopik F., Fiedler R. (2015): Cyber Situational Awareness through Network Anomaly Detection: State of the Art and New Approaches. e&i Elektrotechnik und Informationstechnik, Volume 132, Issue 2, pp. 101-105. Springer. Kaufmann H., Hutter R., Skopik F., Mantere M. (2015): A Structural Design for a Pan-European Early Warning System for Critical Infrastructures. e&i Elektrotechnik und Informationstechnik, Volume 132, Issue 2, pp. 117-121. Springer. Skopik F., Bleier T. (2014): Securing Interconnected Cyber-Physical Systems through Strategic Information Sharing. ERCIM News, Number 97, April 2014, pp. 20-21. ERCIM - The European Research Consortium for Informatics and Mathematics. Skopik F., Fiedler R., Lendl O. (2014): Cyber Attack Information Sharing. Datenschutz und Datensicherheit (DuD), Vol. 38, Issue 4. Gabler Verlag | Springer Fachmedien. Skopik F., Smith P., Bleier T. (2013): Secure Smart Grids or Say 'Goodnight Vienna!'. ERCIM News, Number 92, January 2013, pp 38-39. ERCIM - The European Research Consortium for Informatics and Mathematics. Schall D., Skopik F. (2012): Social Network Mining of Requester Communities in Crowdsourcing Markets. Social Network Analysis and Mining, Volume 2, Issue 4, December 2012, pp 329-344. Springer. Skopik F., Bleier T. (2012): Cybercrime and the Security of Critical Infrastructures. ERCIM News, Number 91, October 2012, pp 26-28. ERCIM - The European Research Consortium for Informatics and Mathematics. Skopik F. (2012): Security is not enough! On Privacy Challenges in Smart Grids. 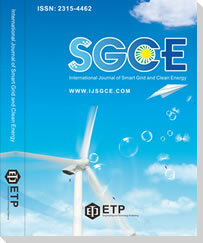 International Journal of Smart Grid and Clean Energy (IJSGCE), Volume 1, Issue 1, September 2012, pp 7-14. Engineering and Technology Publishing. Ma Z., Wagner C., Woitsch R., Skopik F., Bleier T. (2012): Model-driven Security: from Theory to Application. International Journal of Computer Information Systems and Industrial Management Applications (IJCISIM), Volume 5, 2012, pp. 151-158. MIR Labs. Schall D., Skopik F., Dustdar S. (2012): Expert Discovery and Interactions in Mixed Service-Oriented Systems. IEEE Transactions on Services Computing (TSC), Volume 5, Issue 2, April-June 2012, pp 233-245. IEEE. Skopik F., Schall D., Dustdar S. (2012): Trusted Information Sharing Using SOA-Based Social Overlay Networks. International Journal of Computer Science and Applications, Volume 9, Issue 1, 2012, pp 116-151. Technomathematics Research Foundation. Dorn C., Skopik F., Schall D., Dustdar S. (2011): Interaction Mining and Skill-dependent Recommendations for Multi-objective Team Composition. Data & Knowledge Engineering, Volume 70, Issue 10, October 2011, pp 866-891. Elsevier. Skopik F., Schall D., Psaier H., Treiber M., Dustdar S. (2011): Towards Social Crowd Environments using Service-oriented Architectures. it - Information Technology: Special Issue on Knowledge Processes and Services, Volume 53, Issue 3, 3/2011, pp 108-116. Oldenbourg Wissenschaftsverlag. Wurzenberger M., Landauer M., Skopik F., Kastner W. (2019): AECID-PG: A Tree-Based Log Parser Generator To Enable Log Analysis. 4th IEEE/IFIP International Workshop on Analytics for Network and Service Management (AnNet 2019) in conjunction with the IFIP/IEEE International Symposium on Integrated Network Management (IM), April 8, 2019, Washington D.C., USA. IEEE. Skopik F. (2019): The limitations of national cyber security sensor networks debunked: Why the human factor matters. 14th International Conference on Cyber Warfare and Security (ICCWS), February 28 - March 01, 2019, Stellenbosch University, South Africa. ACPI. Landauer M., Wurzenberger M., Skopik F, Settanni G., Filzmoser P. (2018): Time Series Analysis: Unsupervised Anomaly Detection Beyond Outlier Detection. 14th International Conference on Information Security Practice and Experience (ISPEC), September 25-27, 2018, Tokyo, Japan. Springer LNCS. Settanni G., Skopik F., Karaj, A., Wurzenberger M., Fiedler R. (2018): Protecting Cyber Physical Production Systems using Anomaly Detection to enable Self-adaptation. 1st IEEE International Conference on Industrial Cyber-Physical Systems (ICPS), May 15-18, 2018, Saint-Petersburg, Russia. IEEE. Wurzenberger M., Skopik F., Settanni G., Fiedler R. (2018): AECID: A Self-learning Anomaly Detection Approach Based on Light-weight Log Parser Models. 4th International Conference on Information Systems Security and Privacy (ICISSP 2018), January 22-24, 2018, Funchal, Madeira - Portugal. INSTICC. Wurzenberger M., Skopik F., Landauer M., Greitbauer P., Fiedler R., Kastner W. (2017): Incremental Clustering for Semi-Supervised Anomaly Detection applied on Log Data. 12th International Conference on Availability, Reliability and Security (ARES), August 29 - September 01, 2017, Reggio Calabria, Italy. ACM. Pahi T., Leitner M., Skopik F. (2017): Data Exploitation at Large: Your Way to Adequate Cyber Common Operating Pictures. 16th European Conference on Cyber Warfare and Security (ECCWS), June 29-30, 2017, Dublin, Ireland. ACPI. Wurzenberger M., Skopik F., Fiedler R., Kastner W. (2017): Applying High-Performance Bioinformatics Tools for Outlier Detection in Log Data. 3rd IEEE International Conference on Cybernetics (CYBCONF) (CYBCONF), June 21-23, 2017, Exeter, UK. IEEE. Settanni G., Shovgenya Y., Skopik F., Graf R., Wurzenberger M., Fiedler R. (2017): Acquiring Cyber Threat Intelligence through Security Information Correlation. Maghrabi L., Pfluegel E., Al-Fagih L., Graf R., Settanni G. and Skopik F. (2017): Improved Software Vulnerability Patching Techniques Using CVSS and Game Theory. International Conference on Cyber Security and Protection of Digital Services (Cyber Security 2017), June 19-20, 2017, London, UK. C-MRIC. Pahi T., Leitner M., Skopik F. (2017): Analysis and Assessment of Situational Awareness Models for National Cyber Security Centers. 3rd International Conference on Information Systems Security and Privacy (ICISSP 2017), February 19-21, 2017, Porto, Portugal. INSTICC. Settanni G., Shovgenya, Y., Skopik F., Graf R., Wurzenberger M., Fiedler R. (2016): Correlating Cyber Incident Information to Establish Situational Awareness in Critical Infrastructures. 14th Conference on Privacy, Security and Trust (PST), December 12-14, 2016, Auckland, New Zealand. IEEE. Wurzenberger M., Skopik F., Fiedler R., Kastner W. (2016): Discovering Insider Threats from Log Data with High-Performance Bioinformatics Tools. 8th ACM CCS International Workshop on Managing Insider Security Threats (MIST 2016) colocated with the 23rd ACM Conference on Computer and Communications Security (CCS), October 24-28, 2016, Vienna, Austria. ACM. Casas P., D'Alconzo A., Settanni G., Fiadino P., Skopik F. (2016): (Semi)-Supervised Machine Learning Approaches for Network Security in High-Dimensional Network Data. Workshop of Artificial Intelligence and Security (Alsec 2016) colocated with the 23rd ACM Conference on Computer and Communications Security (CCS), October 24-28, 2016, Vienna, Austria. ACM. Graf R., Skopik F., Whitebloom K. (2016): A Decision Support Model for Situational Awareness in National Cyber Operations Centers. International Conference on Cyber Situational Awareness, Data Analytics and Assessment (CyberSA 2016), June 13-14, 2016, London, UK. C-MRIC. Settanni G., Skopik F., Shovgenya Y., Fiedler R.(2016): A Collaborative Analysis System for Cross-Organization Cyber Incident Handling. 2nd International Conference on Information Systems Security and Privacy (ICISSP 2016), February 19-21, 2016, Rome, Italy. INSTICC. Settanni G., Skopik F., Shovgenya Y., Fiedler R., et al. (2015): A Blueprint for a Pan-European Cyber Incident Analysis System. 3rd International Symposium for ICS & SCADA Cyber Security Research 2015 (ICS-CSR 2015), September 17-18, 2015, Ingolstadt, Germany. BCS. Skopik F., Wurzenberger M., Settanni G., Fiedler R. (2015): Establishing National Cyber Situational Awareness through Incident Information Clustering. International Conference on Cyber Situational Awareness, Data Analytics and Assessment (CyberSA 2015), June 8-9, 2015, London, UK. C-MRIC. Wurzenberger M., Skopik F., Settanni G., Fiedler R. (2015): Beyond Gut Instincts: Understanding, Rating and Comparing Self-Learning IDSs (Poster and Extended Abstract). Shovgenya Y., Theuerkauf K., Skopik F. (2015): On Demand for Situational Awareness for Preventing Attacks on the Smart Grid. McLaughlin K., Sezer S., Smith P., Ma Z., Skopik F. (2014): PRECYSE: Cyber-attack Detection and Response for Industrial Control Systems. 2nd International Symposium for ICS & SCADA Cyber Security Research, September 11-12, 2014, St. Pölten, Austria. BCS. Skopik F., Settanni G., Fiedler R., Friedberg I. (2014): Semi-Synthetic Data Set Generation for Security Software Evaluation. 12th International Conference on Privacy, Security and Trust, July 23-14, 2014, Toronto, Canada. IEEE. Kammerstetter M, Langer L., Skopik F., Kastner W. (2014): Architecture-Driven Smart Grid Security Management. 2nd ACM Workshop on Information Hiding and Multimedia Security, June 11-13, 2014, Salzburg, Austria. ACM. Kammerstetter M, Langer L., Skopik F., Kupzog F., Kastner W. (2014): Practical Risk Assessment Using a Cumulative Smart Grid Model. 3rd International Conference on Smart Grids and Green IT Systems, April 03-04, 2014, Barcelona, Spain. INSTICC. Skopik F., Friedberg I., Fiedler R. (2014): Dealing with Advanced Persistent Threats in Smart Grid ICT Networks. 5th IEEE Innovative Smart Grid Technologies Conference, February 19-22, 2014, Washington DC, USA. IEEE. Langer L., Skopik F., Kienesberger G., Li Q. (2013): Privacy Issues of Smart E-Mobility. 39th Annual Conference of the IEEE Industrial Electronics Society, November 10-13, 2013, Vienna, Austria. IEEE. Bleier T., Langer L., Skopik F., Smith P. (2013): Smart grid cyber-security standards: today and tomorrow. World Smart Grid Forum 2013, September 23-25, 2013, Berlin, Germany. VDE. Skopik F., Bonitz A. (2013): An Architectural Blueprint for a National Cyber Attack Information System. 8th Future Security Research Conference, September 17-19, 2013, Berlin, Germany. Frauenhofer. Skopik F., Fiedler R. (2013): Intrusion Detection in Distributed Systems using Fingerprinting and Massive Event Correlation. 43. Jahrestagung der Gesellschaft für Informatik e.V. (GI) (INFORMATIK 2013), September 16-20, 2013, Koblenz, Germany. GI. Ma Z., Smith P., Skopik F. (2013): Architectural Model for Information Security Analysis of Critical Information Infrastructures. IDIMT - Interdisciplinary Information and Management Talks, September 11-13, 2013, Prague, Czech Republic. Universitätsverlag Rudolf Trauner, Linz, Austria. Skopik F., Li Q. (2013): Trustworthy Incident Information Sharing in Social Cyber Defense Alliances. 18th IEEE Symposium on Computers and Communications (ISCC), July 07-13, 2013, Split, Croatia. IEEE. Tauber M., Skopik F., Bleier T., Hutchison D. (2013): A Self-Organising Approach for Smart Meter Communication Systems. 7th International Workshop on Self-Organizing Systems (IWSOS), May 09-10, 2013, Palma de Mallorca, Spain. Springer. Skopik F., Bleier T., Fiedler R. (2012): Information Management and Sharing for National Cyber Situational Awareness. Information Security Solution Conference (ISSE), October 23-24, 2012, Brussels, Belgium. Vieweg Verlag. Skopik F., Treytl A., Geven A., Hirschler B., Bleier T., Eckel A., El-Salloum C., Wasicek A. (2012): Towards Secure Time-Triggered Systems. 31st International Conference on Computer Safety, Reliability and Security (SAFECOMP), September 25-28, 2012, Magdeburg, Germany. Springer. Skopik F., Bleier T., Kammerstetter M., Kienesberger G. (2012): Smart Grid Security Guidance: Eine Sicherheitsinitiative für Intelligente Stromnetze. 42. Jahrestagung der Gesellschaft für Informatik e.V. (GI) (INFORMATIK 2012), September 16-21, 2012, Braunschweig, Germany. GI. Skopik F., Ma Z., Smith P., Bleier T. (2012): Designing a Cyber Attack Information System for National Situational Awareness. 7th Security Research Conference, September 4-6, 2012, Bonn, Germany. Springer. Skopik F., Ma Z. (2012): Attack Vectors to Metering Data in Smart Grids under Security Constraints. IEEE 36th International Conference on Computer Software and Applications (COMPSAC), July 16-20, 2012, Izmir, Turkey. IEEE. Skopik F., Wagner C. (2012): Novel Energy Saving Opportunities in Smart Grids using a Secure Social Networking Layer. Skopik F. (2012): Towards a National Cyber Attack Information System. The Sixth Conference on Cyberterrorism and Cybercrime, June 12-13, 2012, Prague, Czech Republic. Raml R., Schuster C., Skopik F., Wagner C. (2012): An Empirical Study on the Acceptance of a Security Information System for Citizens. IADIS e-society 2012, March 10-13, 2012, Berlin, Germany. IADIS Press. Schall D., Skopik F. (2011): An Analysis of the Structure and Dynamics of Large-scale Q/A Communities. 15th East-European Conference on Advances in Databases and Information Systems (ADBIS), September 20-23, 2011, Vienna, Austria. Springer. Psaier H., Skopik F., Schall D., Dustdar S. (2011): Resource and Agreement Management in Dynamic Crowdcomputing Environments. 15th IEEE International EDOC Conference (EDOC), August 29 - September 2, 2011, Helsinki, Finland. IEEE. Skopik F., Schall D., Dustdar S. (2011): Opportunistic Information Flows Through Strategic Social Link Establishment. 10th IEEE/WIC/ACM International Conference on Web Intelligence (WI), August 22-27, 2011, Lyon, France. IEEE. Skopik F., Schall D., Dustdar S. (2011): Managing Social Overlay Networks in Semantic Open Enterprise Systems. 1st International Conference on Web Intelligence, Mining and Semantics (WIMS), May 25-27, 2011, Sogndal, Norway. ACM. Skopik F., Schall D., Dustdar S. (2011): Computational Social Network Management in Crowdsourcing Environments. 16th IEEE International Conference on Engineering of Complex Computer Systems (ICECCS), April 27-29, 2011, Las Vegas, USA. IEEE. Schall D., Skopik F., Psaier H., Dustdar S. (2011): Bridging Socially-Enhanced Virtual Communities. 26th ACM Symposium On Applied Computing (SAC), March 21-25, 2011, Taichung, Taiwan. ACM. Skopik F., Schall D., Psaier H., Dustdar S. (2011): Adaptive Provisioning of Human Expertise in Service-oriented Systems. Skopik F., Schall D., Psaier H., Dustdar S. (2010): Social Formation and Interactions in Evolving Service-oriented Communities. 8th European Conference on Web Services (ECOWS), December 1-3, 2010, Ayia Napa, Cyprus. IEEE. Psaier H., Skopik F., Schall D., Juszczyk L., Treiber M., Dustdar S. (2010): A Programming Model for Self-Adaptive Open Enterprise Systems. 5th MW4SOC Workshop of the 11th International Middleware Conference, November 29 - December 3, 2010, Bangalore, India. ACM. Schall D., Skopik F. (2010): Mining and Composition of Emergent Collectives in Mixed Service-Oriented Systems. 12th IEEE Conference on Commerce and Enterprise Computing (CEC), November 10-12, 2010, Shanghai, China. IEEE. Psaier H., Juszczyk L., Skopik F., Schall D., Dustdar S. (2010): Runtime Behavior Monitoring and Self-Adaptation in Service-Oriented Systems. 4th IEEE International Conference on Self-Adaptive and Self-Organizing Systems (SASO), September 27 - October 01, 2010, Budapest, Hungary. IEEE. Skopik F., Schall D., Dustdar S. (2010): Supporting Network Formation through Mining under Privacy Constraints. 10th Annual International Symposium on Applications and the Internet (SAINT), July 19-23, 2010, Seoul, South Korea. IEEE. Psaier H., Skopik F., Schall D., Dustdar S. (2010): Behavior Monitoring in Self-healing Service-oriented Systems. 34th Annual IEEE Computer Software and Applications Conference (COMPSAC), July 19-23, 2010, Seoul, South Korea. IEEE. Skopik F., Schall D., Dustdar S., Sesana M. (2010): Context-Aware Interaction Models in Cross-Organizational Processes. 5th International Conference on Internet and Web Applications and Services (ICIW), May 09-15, 2010, Barcelona, Spain. IEEE. Treiber M., Skopik F., Schall D., Dustdar S., Haslinger S. (2010): Context-aware Campaigns in Social Networks. Skopik F., Schall D., Dustdar S. (2010): Trust-based Adaptation in Complex Service-oriented Systems. 15th IEEE International Conference on Engineering of Complex Computer Systems (ICECCS), March 22-26, 2010, University of Oxford, UK. IEEE. Skopik F., Schall D., Dustdar S. (2010): Trustworthy Interaction Balancing in Mixed Service-oriented Systems. 25th ACM Symposium On Applied Computing (SAC), March 22-26, 2010, Sierre, Switzerland. ACM. Skopik F., Schall D., Dustdar S. (2010): Trusted Interaction Patterns in Large-scale Enterprise Service Networks. 18th Euromicro International Conference on Parallel, Distributed and Network-Based Computing (PDP), February 17-19, 2010, Pisa, Italy. IEEE. Skopik F., Schall D., Dustdar S. (2009): Start Trusting Strangers? Bootstrapping and Prediction of Trust. 10th International Conference on Web Information Systems Engineering (WISE), October 05-07, 2009, Poznan, Poland. Springer. Skopik F., Schall D., Dustdar S. (2009): The Cycle of Trust in Mixed Service-oriented Systems. 35th Euromicro Conference on Software Engineering and Advanced Applications (SEAA), August 27-29, 2009, Patras, Greece. IEEE. Skopik F., Truong H.-L., Dustdar S. (2009): Trust and Reputation Mining in Professional Virtual Communities. 9th International Conference on Web Engineering (ICWE), June 24-26, 2009, San Sebastian, Spain. Springer. Skopik F., Truong H.-L., Dustdar S. (2009): VieTE - Enabling Trust Emergence in Service-oriented Collaborative Environments. 5th International Conference on Web Information Systems and Technologies (WEBIST), March 23-26, 2009, Lisbon, Portugal. INSTICC. Skopik F., Pahi T., Leitner M. (2018): Cyber Situational Awareness in Public-Private-Partnerships: Organisationsübergreifende Cyber-Sicherheitsvorfälle effektiv bewältigen. 347p., 1st edition, ISBN-10: 3662560836, ISBN-13: 978-3-662-56083-9, Springer Vieweg. Skopik F. (2017): Collaborative Cyber Threat Intelligence: Detecting and Responding to Advanced Cyber Attacks at the National Level. 416p., 1st edition, ISBN-10: 1138031828, ISBN-13: 978-1138031821, Taylor & Francis, CRC Press. Skopik F., Smith P. (2015): Smart Grid Security - Innovative Solutions for a Modernized Grid. 324p., 1st edition, ISBN-10: 0128021225, ISBN-13: 978-0128021224, Elsevier Science Publishing. Leopold H., Skopik F., Bleier T. (2015): Cyber Attack Information System: Erfahrungen und Erkenntnisse aus der IKT-Sicherheitsforschung. German, 208p., 1st edition, ISBN-10: 3662443058, ISBN-13: 978-3662443057, Springer Wien. Dustdar S., Schall D., Skopik F., Juszczyk L., Psaier H. (2011): Socially Enhanced Services Computing: Modern Models and Algorithms for Distributed Systems. 153p., 1st edition, ISBN-10: 3709108128, ISBN-13: 978-3709108123, Springer Wien. Wurzenberger M., Skopik F., Settanni G. (2018): Big Data for Cyber Security. Schall D., Skopik F. (2014): Collective Intelligence for Crowdsourcing and Community Q&A. Springer International Publishing, Sep. 2014, 2200p., ISBN 978-1-4614-6169-2. Update: 2nd edition in 2018. In Securing Water and Wastewater Systems: Global Experiences, Volume 2. Editors: Robert M. Clark, Simon Hakim. Springer International Publishing, 2014, ISBN 978-3-319-01091-5. Jansson K., Sesana M., Skopik F., Olmo A. (2011): COIN Innovative Enterprise Collaboration Services. In The COIN Book: Enterprise Collaboration and Interoperability. Mainz, Nov. 2011, 200p., ISBN 3-86130-713-8. Haslinger S., Skopik F., Schall D., Treiber M. (2010): Woodapples: A new approach for Context Aware Mobile Marketing. In Mobile Web 2.0: Developing and Delivering Services to Mobile Phones. CRC Press, Dec. 2010, 617p., ISBN 9781439800829. Ma Z., Smith P., Skopik F. (2012): Towards a Layered Architectural View for Security Analysis in SCADA Systems. Technical Report, ArXiv 1211.3908, November 2012. Technical Report, TUV-1841-2011-03, Vienna University of Technology, April 2011. Skopik F., Schall D., Dustdar S. (2010): Adaptive Information Disclosure in a Dynamic Web of Trust. Technical Report, TUV-1841-2010-03, Vienna University of Technology, April 2010. Schall D., Skopik F., Dustdar S. (2010): Trust-based Discovery and Interactions in Mixed Service-Oriented Systems. Technical Report, TUV-1841-2010-01, Vienna University of Technology, April 2010. Truong H.-L., Sitek P., Aguilera C., Sesana M., Skopik F., Zarvic N. (2009): The COIN Enterprise Collaboration SaaS Platform. Project Report, FP7-216256 COIN, April 2009. Skopik F., Schall D., Truong H.-L., Dustdar S. (2009): Innovative Human Interaction Services Specification (Slides). Technical Report, FP7-216256 COIN, D4.5.1a, January 2009. Skopik F., Truong H.-L., Dustdar S. (2008): Current and Future Technologies for Collaborative Working Environments. Study, Full report for the European Space Agency (PDF), Executive Summary (PDF). ESA ITT Number AO/3-12280/07/NL/CB, May 2008. Skopik F. (2013): Discovery and Formation Models for Socio-computational Crowd Environments. PhD Thesis in Social and Economic Sciences (Dr.rer.soc.oec), Vienna University of Technology. Skopik F. (2010): Dynamic Trust in Mixed Service-oriented Systems - Models, Algorithms, and Applications. PhD Thesis in Computer Science (Dr.techn. ), Vienna University of Technology. Slides of the Defense. Advisors: Prof. Schahram Dustdar, Prof. Frank Leymann. European Telecommunications Standards Institute (ETSI) (2017): Implementation of the Network and Information Security (NIS) Directive, ETSI TR 103 456 V1.1.1 (2017-10). Contribution via ETSI TC Cyber. Organization for the Advancement of Structured Information Standards (OASIS) (2016): Structured Threat Information eXpression (STX 2.0). Contribution via OASIS TC Cyber Threat Intelligence. Skopik F. (2015): Sicherheit als integrales Gesamtkonzept in IoT-Anwendungen. GIT Gesellschaft für Informations- und Kommunikationstechnik im OVE, Newsletter 12/2015. Skopik F. (2015): Organisationsübergreifender Austausch von Security-Informationen - eine interdisziplinäre Herausforderung!. GIT Gesellschaft für Informations- und Kommunikationstechnik im OVE, Newsletter 04/2015. Langer L., Kupzog F., Kammerstetter M., Kerbl T., Skopik F. (2013): Smart Grid Security Guidance (SG)2 - Empfehlungen für sichere Smart Grids in Österreich. Tagung ComForEn 2013 - 4. Fachkonferenz Kommunikation für Energienetze der Zukunft, September 26, 2013. OVE. Skopik F. (2013): Web Security. GIT Gesellschaft für Informations- und Kommunikationstechnik im OVE, Newsletter 09/2013. Skopik F. (2012): Sichere vernetzte Embedded Systems brauchen vernetzte Forschung und Entwicklung. GIT Gesellschaft für Informations- und Kommunikationstechnik im OVE, Newsletter 03/2012. Max Landauer: Intrusion Detection by Correlating Automatically Extracted Threat Intelligence, Vienna University of Technology, ongoing. Markus Wurzenberger: Benchmarking and Analytic Evaluation of IDSs in Specified Environments, Vienna University of Technology, ongoing. Manuel Kern: Cyber Threat Intelligence to Support the Triage in Cyber Security Centers, FH Technikum Wien, ongoing. Stefan Filip: Applying Cyber Security Sensors to gain Cyber Situational Awareness, Vienna University of Technology, ongoing. Max Landauer: Dynamic Log File Analysis: An Unsupervised Cluster Evolution Approach for Anomaly Detection, Vienna University of Technology, 2018. Anjeza Karaj: Application of Anomaly Detection for Steering the Security Posture of Self-Adaptive Cyber Physical Systems, FH Kaernten, 2017. Yegor Shovgenya: Applying Free Text Analysis Methods to Support Vulnerability and Incident Report Handling, University Vienna, ongoing. Markus Wurzenberger: Synthetic Log Data Modeling for the Evaluation of Intrusion Detection Systems, Vienna University of Technology, 2015. Ivo Friedberg: Anomaly Detection Through Massive Event Correlation in ICT Networks, Vienna University of Technology, 2014. Iwona Leś: Trusted Information Sharing, Vienna University of Technology, 2011. Ernst Leierzopf: Systematische Evaluierung möglicher Ansätze für Unit Tests in der Software-Qualitätssicherung, FH Oberösterreich Campus Hagenberg, ongoing. Timea Pahi: Cyber Intelligence Centre Framework: From technical data to strategic decisions in cyber defense, FH St. Poelten, 2016. Wie sicher ist das Netz?, Autor: Karin Legat, December 17, 2018. energie Report, Austria. Die Facebook-Falle: Was Zuckerbergs Datenskandal für österreichische Normalbürger bedeutet, April 13, 2018. News Magazin, Nr. 15, Austria. Kritische Infrastruktur besser geschützt: Europäisches Kontrollsystem zur Abwehr von Cyber-Security-Angriffen (German), press release, published online at computerwelt.at and mycity24.at, Sender: TECHNIKON Forschungsgesellschaft mbH, July 28, 2017, pressetext.com, Austria. Sicher gut geschützt (German), Cover-Story about ICT Security Research in Austria, Author: Alfred Bankhamer, May 29, 2017, Issue 21, e-Trend, Austria. IT-Experte: "Man hätte Wannacry frühzeitig erkennen können" (German), Interview about WannaCry, Author: Alois Pumhösel, May 26, 2017, derstandard.at, Austria. Sicher in der Cloud (German), Interview about security in hotels, Author: Thomas Schweighofer, Nov. 2015, Issue 11, Hotel & Touristik, Austria. Cyber-Angriffe: "Eine grundsätzliche Bedrohung der Gesellschaft" (German), Interview with Springer Professional, Author: Andreas Burkert, September 28, 2015, Springer, Germany. Virtuelle Fahndung nach unbekannten Tätern (German), Article about my current research work, Author: Tanja Traxler, September 18, 2015, derstandard.at, Austria. Smart Grid Security: Current and Future Issues, Panel chair at the 5th IEEE Innovative Smart Grid Technologies Conference, February 19-21, 2014, Washington DC, USA. Smart Grid Security & Privacy - The new Challenges for Distribution System Operators, Panel participant at the Siemens Workshop: Intelligent Distribution Systems in the Smart Grid in conjunction with the E-World: Energy & Water, February 10-14, 2014, Essen, Germany. Skopik F.: "Cyber Security-Herausforderungen durch die voranschreitende Digitalisierung" (in German); Digitalisierung in der Siedlungswasserwirtschaft, ÖWAV, Innsbruck, Austria, 06.02.2019. Skopik F.: "Gefahren in der vernetzten Welt - Überblick über IKT- und Informationssicherheit und deren Relevanz für den HTL Unterricht" (in German); KeyNote at Konferenz der Abteilungsvorstände der HTLs Österreichs, Windischgarsten, Austria; 23.03.2017. Skopik F.: "Cyber Attack Information Systems: Erkennen und Bewältigen von Advanced Persistent Threats"; Sehen und Verstehen 2016, Vienna, Austria; 25.02.2016. Skopik F., Fiedler R.: "Erkennen und Bewältigen von Advanced Persistent Threats: Erkenntnisse aus dem Projekt CIIS"; CERT Stammtisch Jänner 2016, Vienna, Austria; 13.01.2016. Skopik F.: "CIIS - Cyber Incident Information Sharing"; KIRAS Fachtagung 2015, Vienna, Austria; 05.11.2015. Skopik F.: "Combating Advanced Persistent Threats with AECID"; Bits That Byte Lecture Series at the University of Applied Sciences Burgenland, Eisenstadt, Austria; 17.10.2014. Skopik F.: "Combating Advanced Persistent Threats through Log Data Fusion"; International Workshop on Data Fusion and Big Data, Thun, Switzerland; 27.08.2014. Skopik F.: "Cyber Defense and Situational Awareness: CAIS, CIIS and ECOSSIAN"; KIRAS Fachtagung 2014, Vienna, Austria; 22.10.2014. Skopik F.: "Smart Grid Security & Privacy - The new Challenges for Distribution System Operators"; Siemens Workshop: Intelligent Distribution Systems in the Smart Grid, Essen, Germany; 12.02.2014. Skopik F.: "Trustworthy Incident Information Sharing for Collaborative Cyber Defense"; ICT Networking Event Vienna - Security and Visualization, Vienna, Austria; 07.10.2013. Skopik F.: "CAIS - Cyber Attack Information System: A National Cyber Defense System as a best practice example"; NTU AIT Security Workshop 2012, Singapore; 29.10.2012 - 30.10.2012. Skopik F.: "Towards a National Cyber Attack Information System"; The Sixth International Conference on Cyberterrorism and Cybercrime, Prague, Czech Republic; 12.06.2012 - 13.06.2012. IWSGNC 2015 - 2015 International Workshop on Smart Grid Networking and Communications, October 20-23, 2015 - Offenburg, Germany. IWSGNC 2014 - 2014 International Workshop on Smart Grid Networking and Communications, October 29-31, 2014 - Sharjah, U.A.E. CyberSA 2019 - International Conference on Cyber Situational Awareness, Data Analytics and Assessment 2019, June 03-04, 2019 - University of Oxford, UK. ICS-CSR 2019 - 6th International Symposium for ICS & SCADA Cyber Security Research 2019, September 11-12, 2019 - Athens, Greece. SPT-IoT@PERCOM 2019 - The Third International Workshop on Security, Privacy and Trust in the Internet of Things colocated with IEEE PERCOM 2019, March 11-15, 2019 - Kyoto, Japan. ACM SAC 2019 - The 34th ACM/SIGAPP Symposium On Applied Computing, Data Analytics and Assessment, April 8-12, 2019 - Limassol, Cyprus. ICS-CSR 2018 - 5th International Symposium for ICS & SCADA Cyber Security Research 2018, August 29-30, 2018 - Hamburg, Germany. APF 2018 - ENISA's Annual Privacy Forum 2017, June 13-14, 2018 - Barcelona, Spain. ACM SAC 2018 - The 33rd ACM/SIGAPP Symposium On Applied Computing, Data Analytics and Assessment, April 9-13, 2018 - Pau, France. CyberSA 2017 - International Conference on Cyber Situational Awareness, Data Analytics and Assessment, June 19-20, 2017 - London, UK. APF 2017 - ENISA's Annual Privacy Forum 2017, June 07-08, 2017 - Vienna, Austria. IEA/AIE 2017 - The 30th International Conference on Industrial, Engineering, Other Applications of Applied Intelligent Systems - Special Track on Anomaly Detection, June 27-30, 2017 - Arras, France. SAC WT 2017 - 32nd Annual ACM Symposium on Applied Computing - Web Technologies Track, April 03-07, 2017 - Marrakech, Morocco. IEEE PERCOM 2017 - The 2nd IEEE PERCOM Workshop on Security, Privacy and Trust in the Internet of Things - in conjunction with IEEE International Conference on Pervasive Computing and Communications 2017, March 14-18, 2017 - Hawaii, USA. ICSGCE 2016 - International Conference on Smart Grid and Clean Energy Technologies, October 19-22, 2016 - Chengdu, China. IEEE ISGT 2016 - 7th IEEE PES Innovative Smart Grid Technologies Conference, September 06-09, 2016 - Minneapolis, Minnesota, USA. ICS-CSR 2016 - 4th International Symposium for ICS & SCADA Cyber Security Research 2016, August, 2016 - Belfast, Ireland. SAC WT 2016 - 31st Annual ACM Symposium on Applied Computing - Web Technologies Track, April 03-08, 2016 - Pisa, Italy. ICS-CSR 2015 - 3rd International Symposium for ICS & SCADA Cyber Security Research 2015, September 17-18, 2015 - Ingolstadt, Germany. ICIW 2015 - The Tenth International Conference on Internet and Web Applications and Services, June 21-26, 2015 - Brussels, Belgium. SAC WT 2015 - 30th Annual ACM Symposium on Applied Computing - Web Technologies Track, April 13-17, 2015 - Salamanca, Spain. IEEE ISGT 2015 - 6th IEEE PES Innovative Smart Grid Technologies Conference, February 18-20, 2015 - Washington D.C., USA. METHOD@ISWC 2014 - 3rd International Workshop on Methods for Establishing Trust with Open Data (colocated with The 13th International Semantic Web Conference), October 19-23, 2014 - Riva Del Garda - Trentino, Italy. ICIW 2014 - The Ninth International Conference on Internet and Web Applications and Services, July 20-24, 2014 - Paris, France. SAC WT 2014 - 29th Annual ACM Symposium on Applied Computing - Web Technologies Track, March 24-28, 2014 - Gyeongju, Korea. IEEE ISGT 2014 - 5th IEEE PES Innovative Smart Grid Technologies Conference, February 19-22, 2014 - Washington D.C., USA. ICSGCE 2013 - International Conference on Smart Grid and Clean Energy Technologies, October 11-13, 2013 - Kuala Lumpur, Malaysia. METHOD@COMPSAC 2013 - 2nd IEEE International Workshop on Methods for Establishing Trust with Open Data (colocated with The 37th Annual International Computer Software & Applications Conference), July 22-26, 2013 - Kyoto, Japan. ICIW 2013 - The Eighth International Conference on Internet and Web Applications and Services, June 23-28, 2013 - Rome, Italy. SAC WT 2013 - 28th Annual ACM Symposium on Applied Computing - Web Technologies Track, March 18-22, 2013 - Coimbra, Portugal. IEEE ISGT 2013 - 4th IEEE PES Innovative Smart Grid Technologies Conference, February 24-27, 2013 - Washington D.C., USA. IEEE ICECCS 2012 - 17th IEEE International Conference on Engineering of Complex Computer Systems, July 18-20, 2012 - Ecole Normale Supérieure, Paris, France. ICIW 2012 - The Seventh International Conference on Internet and Web Applications and Services, May 27-June 01, 2012 - Stuttgart, Germany. SAC WT 2012 - 27th Annual ACM Symposium on Applied Computing - Web Technologies Track, March 25-29, 2012 - Riva del Garda (Trento), Italy. IEEE CSE 2011 - 14th IEEE International Conference on Computational Science and Engineering, August 24-26, 2011 - Dalian, China. ICIW 2011 - The Sixth International Conference on Internet and Web Applications and Services, March 20-25, 2011 - St. Maarten, The Netherlands Antilles. The Netherlands Organisation for Scientific Research (NWO, the Dutch Research Council), Cyber Security Research. European Commission: Horizon 2020 Programme. OEAD - Austrian agency for international mobility and cooperation in education, science and research - Scientific & Technological Cooperation (S&T Cooperation). Landauer M., Skopik F., Wurzenberger M. (2019): EP19153037.7 - Method for detecting anormal operating states) ("Time Series Analysis EP"), European Patent pending, January 2019. Wurzenberger M., Landauer M., Skopik F., Fiedler R. (2018): A50461/2018 - Verfahren zur Charakterisierung des Zustands eines Computersystems ("Grammatikerkennung AT"), Austrian Patent pending, June 2018. Wurzenberger M., Skopik F. (2018): EP18160444.8 - Method for detecting normal operating states in a working process ("Maschinendatensaetze EP"), European Patent pending, March 2018. Landauer M., Skopik F., Wurzenberger M. (2018): A50156/2018 - Verfahren zur Erkennung von anormalen Betriebszuständen (engl. : Method for detecting anormal operating states) ("Time Series Analysis AT"), Austrian Patent pending, February 2018. Fiedler R., Skopik F., Wurzenberger M. (2017): EP3267625 - Method for detecting anomolous states in a computer network ("Bioclustering EP"), European Patent granted, September 2018. Wurzenberger M., Skopik F. (2017): A50233/2017 - Verfahren zur Erkennung des normalen Betriebszustands eines Arbeitsprozesses (engl. : Method for detecting normal operating states in a working process) ("Maschinendatensaetze AT"), Austrian Patent pending, March 2017. Fiedler R., Skopik F., Wurzenberger M. (2016): A50601/2016 (AT 518.805) - Verfahren zur Detektion von anomalen Zuständen in einem Computernetzwerk (engl. : Method for detecting anomolous states in a computer network) ("Bioclustering AT"), Austrian Patent granted, May 2018. Skopik F., Fiedler R. (2016): EP1416597.2-1853 - Method for detecting deviations from a given standard state ("AECID EP"), European Patent granted, June 2016. Skopik F., Fiedler R. (2013): A50292/2013 (AT 514.215) - Verfahren zur Feststellung von Abweichungen von einem vorgegebenen Normalzustand (engl. : Method for detecting deviations from a given standard state) ("AECID AT"), Austrian Patent granted, April 2013. Offenlegung gemäß §25 Mediengesetz, Österreich: Inhaber der Website ist DDr. Florian Skopik, Franz Schubertstrasse 43, A-3701 Grossweikersdorf. Ich distanziere mich von den Inhalten aller extern gelinkten Seiten und übernehme diesbezüglich keine Haftung. Alle Texte auf dieser Homepage wurden sorgfältig geprüft. Nichtsdestotrotz kann keine Garantie für die Richtigkeit, Vollständigkeit und Aktualität der Angaben übernommen werden. Eine Haftung meinerseits wird daher ausgeschlossen. Die Links zu anderen Webseiten wurden sorgfältig ausgewählt. Da ich auf deren Inhalt keinen Einfluss habe, übernehme ich dafür keine Verantwortung.